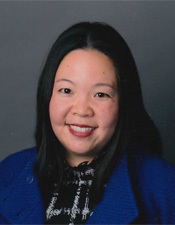 Dr. Michele Igawa attended the University of Missouri at Kansas City where she received a combined degree of B.A./D.D.S. (Doctor of Dental Surgery). She also completed a residency there in the Advanced Education in General Dentistry Program. Dr. Igawa practices general dentistry with an emphasis on preventive and restorative aspects. She holds memberships in the American Dental Association, the Academy of General Dentistry, the Kansas Dental Association and the Missouri Dental Association. She is a volunteer for the Special Olympics and with dental education and awareness programs for children. Outside of dentistry, Dr. Igawa enjoys music, arts and crafts and experimental cooking. She was born and raised in Hawaii and enjoys visiting her family there.